Timothy's offers a variety of gluten free choices. Just look for the little green circle next to the name. American cuisine with an abundance of steaks, seafood, salads, and kids meals. 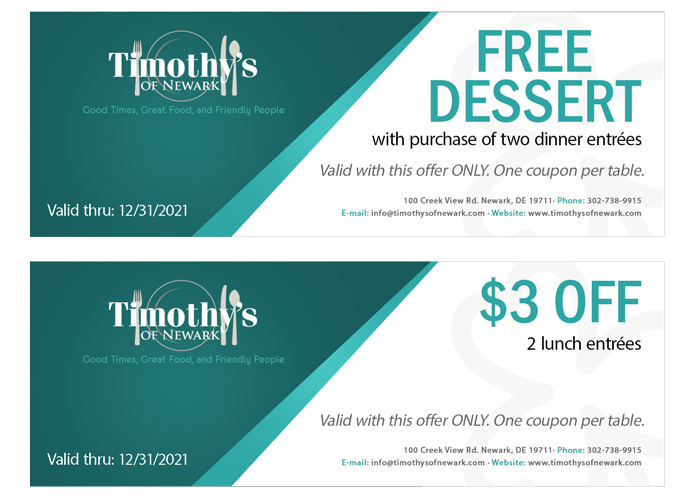 Try Timothy's' signature Wings or BBQ Ribs. Kids and adults alike love our 350 gallon salt water aquarium. Our do-it-yourself smores bring fun for the entire family. Create your very own and unique smores-gis-board.